Lessening our carbon footprint as a family is something that is very important to us. We practice reducing, reusing and recycling and try do our best everyday in and out of our home. I am passionate about taking care of our planet and I am obsessed with technology. When the two can come together, well, I am a very, very happy person. In fact, I am not alone with this mentality, new study commissioned by TELUS reveals that Canadians expect smart home technology to become commonplace in their homes within the next two years. It also found a significant gap between those that believe that smart home technology will benefit their lives (61 per cent) and those who currently own a smart home device (34 per cent). But, times are changing and 63 per cent of people are predicting that they will own at least one smart home device. Like a smart TV, thermostat, lighting, appliance, entry and security system; and other home automation solutions. By 2018, half of those predicting say they will own three or more. The greatest perceived benefits of living in a smarter home include saving money and being greener (57 per cent) and increased security or safety (44 per cent). Of those who currently own smart home technology, the most popular devices are smart TVs (65 per cent) and smart thermostats (36 per cent). For those who travel frequently, 56 per cent said they are likely to purchase smart home devices to manage household tasks and provide peace of mind while they are away. Since I am a bit of tech fanatic, I may be ahead of the curve and already own 3 or more smart technologies for a more connected home. We have a NEST thermostat and we are able to monitor our usage, schedule it to save energy and only use it when we need it. We have a lot of fun seeing how often we can get a little green leaf on the monitor and then getting the monthly report via email. That way, we see how we compare to the rest of Canada and I have to say, we do pretty well! The best part of it all is that we can control it from our smart phones. Not only is it convenient (super awesome) to be able to turn on the heat or AC while you are in bed but, it is awesome when we are out of the home. It detects if you are home and sets it to away to save energy. But, it also learns your habits and schedule! If plans change or the weather does, we can set the thermostat from wherever we are. That gives me peace of mind that our dogs are comfortable and that we will have a cool or warm home when we get there. I think the next thing we have our eye on is the Nest Cam, add a little oomph to the already AMAZING Nest. 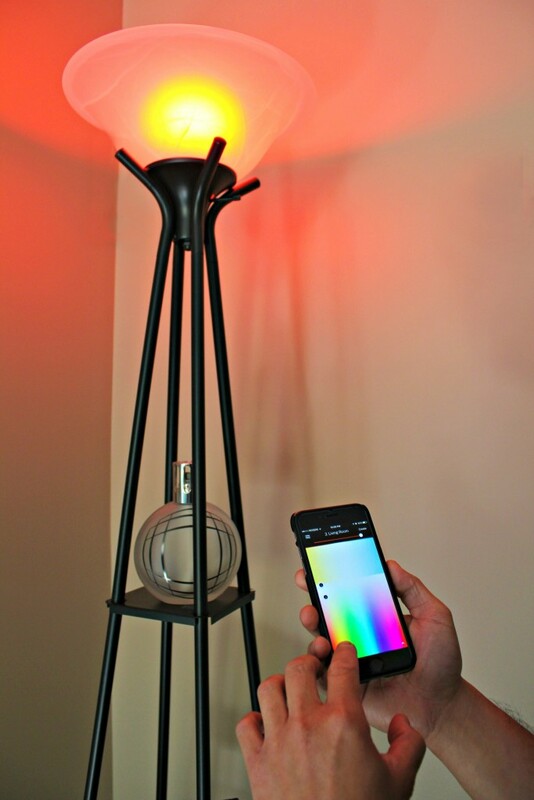 Did you ever think it would be possible to control your lights right through your phone? Well, now it is. 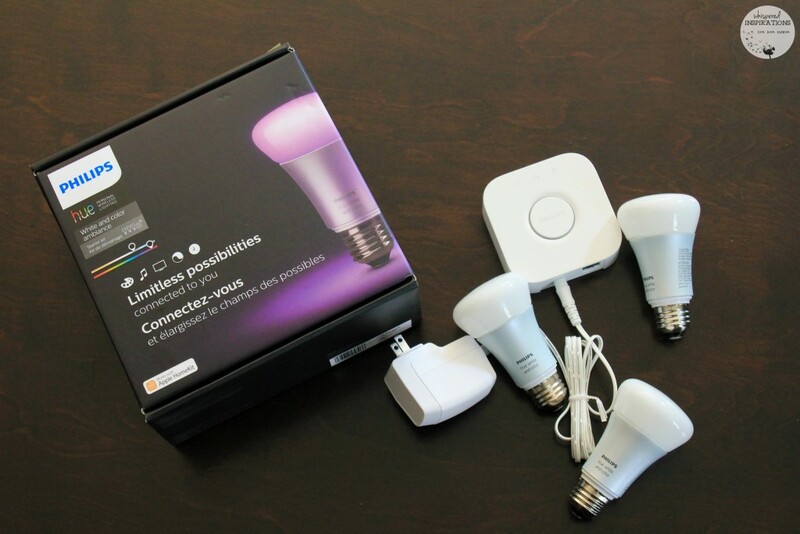 TELUS sent us a really cool control lighting system from Philips named Hue. Philips Hue welcomes you home and lets you control your lights from your bedroom to your backyard. It even makes it seem like you’re home when you’re not. It’s all about simplifying your life. We decided to add them to the living room and our bedroom night stands. We will be expanding them to the back yard and throughout the home. You can change the ambiance, set the mood to relax, read or concentrate! You can even sync lights with your music, TV and games for an immersive effect. You can set the mood and change the ambiance by choosing a color and dimming them. Really, the sky is the limit! I can’t tell you how many times I’ve forgotten to shut off the lights on my way out or forgotten to leave a light on for one of the dogs. This is a lifesaver! I know that I am thrilled to be able to have the ability to control our lights with a touch of a button. It really is all about simplifying our lives. Now if the girls forget to shut off the back yard light or I want to dim the lights in Mimi’s room, I can. I love it! 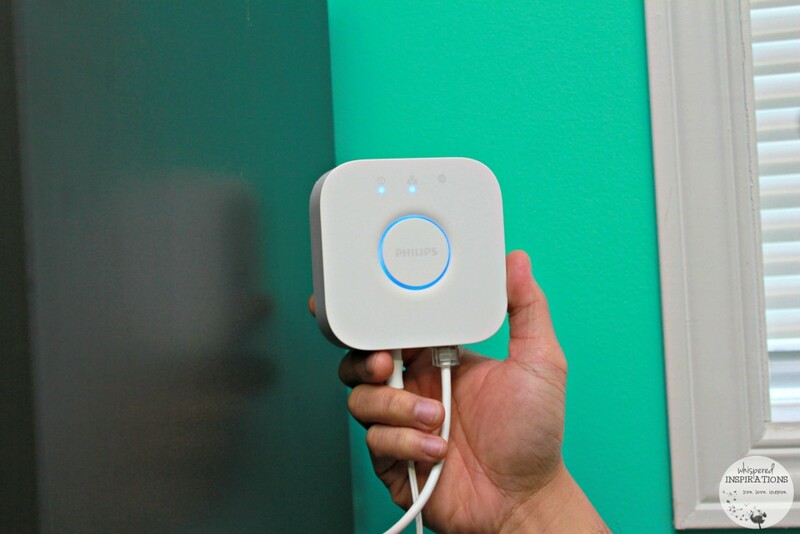 To feed the growing demand for smart home devices and other digital lifestyle solutions, TELUS opened two “Connected Experience” concept stores last year in Toronto’s Eaton Centre and Edmonton’s Southgate Centre. You’ll be able to find a full section devoted to smart home devices that is stocked with products like the Philips Hue lighting and August smart locks. TELUS the only Canadian carrier authorized by Google to sell Nest products. Isn’t this super exciting? 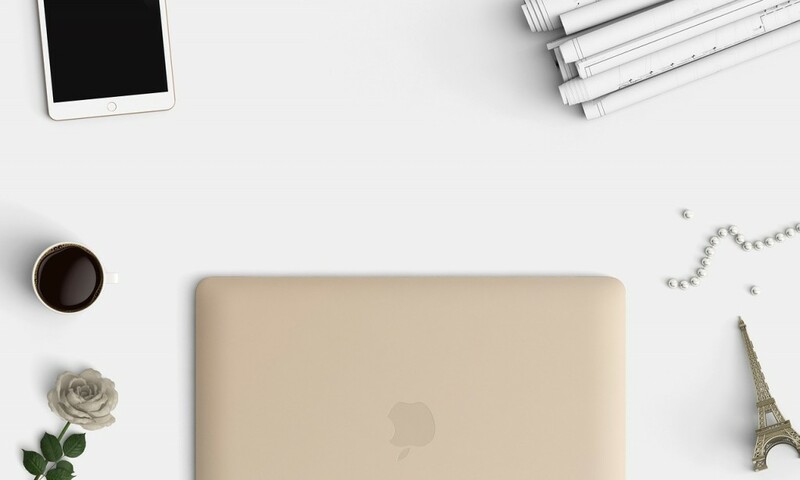 They plan to open additional Connected Experience stores 50 TELUS retail locations this year across Canada. TELUS’ selection of smart home products is also available online at telus.com. I am excited to see what is to come and to be honest, the only thing that can make it better is faster internet. Am I right? There really is nothing like having lightning speed for all of our devices. I know that I’d be over the moon. 39 per cent of Canadians say they would be willing to pay more to live in a neighborhood connected by a high-speed, high-capacity fibre optic network. I know I would! Of those, 41 per cent were willing to pay up to $5,000 more, 13 per cent were willing to pay up to $10,000 more and 6 per cent were willing to pay more than $10,000 more. In fact, they rather choose living in a better connected neighborhood than a shorter commute. That to me, is very telling. It proves that the world is charging ever forward and technology is becoming a bigger and more prevalent presence in our homes. It shows that we Canadians crave smarter homes and products and services that make our lives easier and more green! I would love to have a smart home. The Nest Thermostat sounds amazing. I will check out these products. My home is most assuredly NOT smart, but I would love to give it a crash course in smart pants class. I love that Hue app. Yes, it is pretty cool! I need these! Technology is so cool. I love the Hue lighting. That looks like fun lighting for the house! These all look and sound really neat. We do not have a smart home, I'd love to try out that thermostat though. This sounds amazing for any home. Love that you can change the light color so easily. By a swipe of a finger! This looks very awesome. I like that it tracks your usage. I might get one for the hubster for father’s day. He loves controlling anything from his smart phone. Yeah, I love it. I just got my report and I am in the top 15 in the province for saving energy! WOOT. 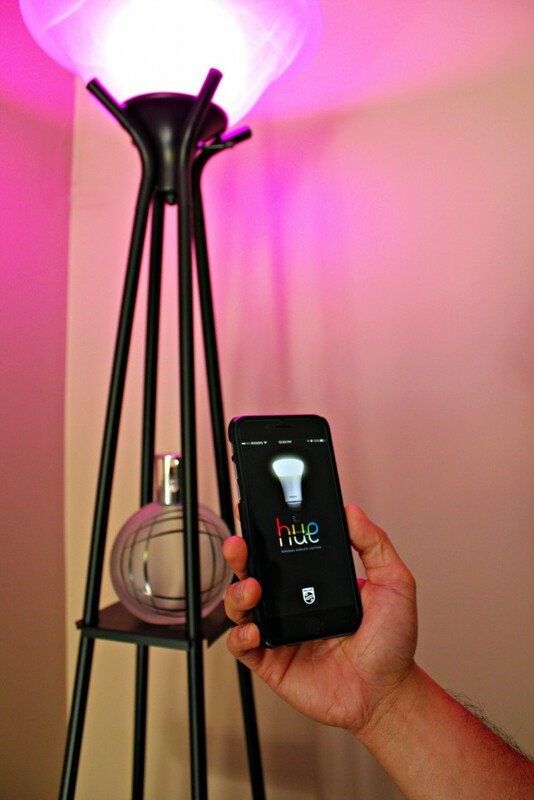 I've always wanted Hue! I thought that was so neat. I do have a smart phone, and I plan to upgrade soon to a nicer one. I have been looking at these for my home. I would love to be able to control things in my home with my phone. It makes life easier, that is for sure! It's so exciting to see new smart home gadgets coming out. I'd love a smart thermostat like nest to help control heating costs. The Nest is pretty epic, one of our best investments! We don't have a smart home per say. However, our home is very energy efficient. 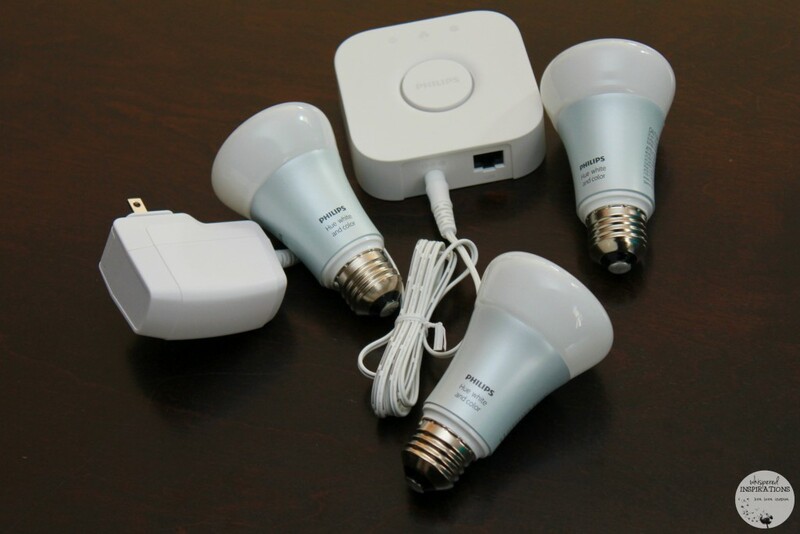 I do want to install some smart lighting one of these days. I think the color lights would be a cool addition. It definitely is a cool addition, I love being able to control them and shutting them off at will. That is cool. I think the colored lights would be perfect for the bedroom. I keep the lights off 90%of the time bc it’s just too bright. 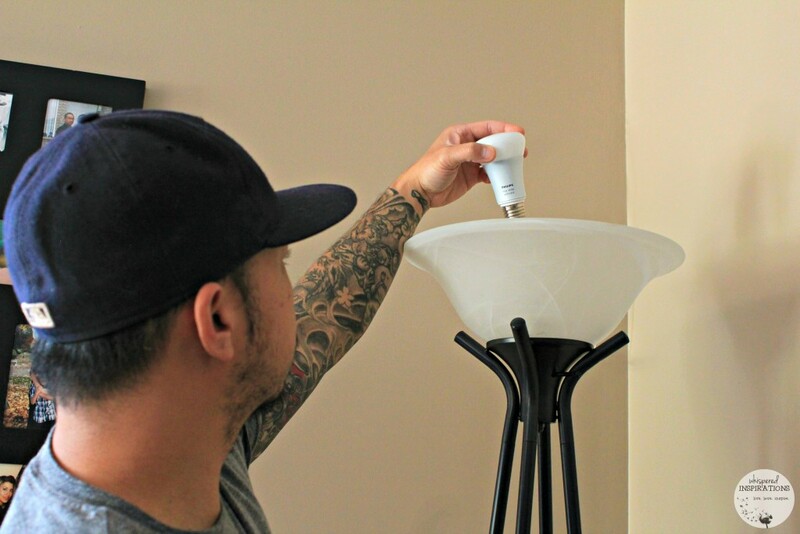 The Philip Hue light bulbs are mind blowing! So neat. They really are, we love them! This is such a great initiative. I am already a Telus customer so I will have to look into getting this technology for our home. I've always thought having a smart home would be amazing. We haven't made the switch yet, but we've been thinking about it. We love it and plan to get even “smarter”! I want all of these things! 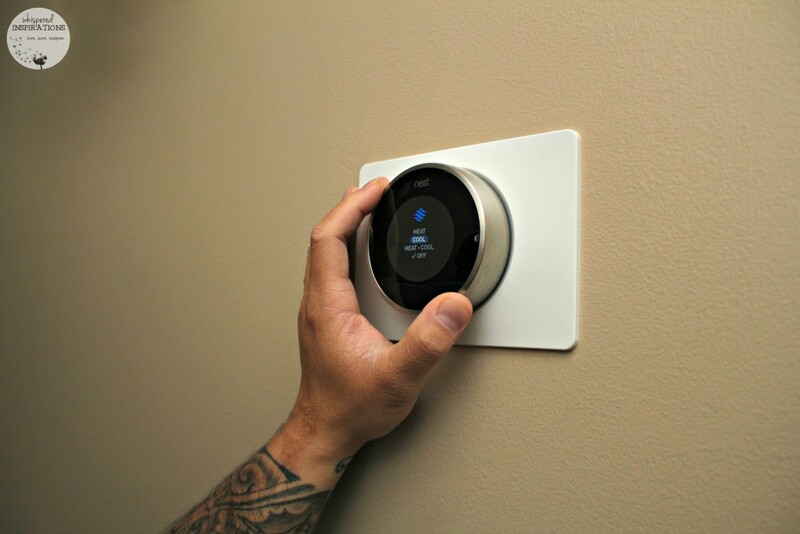 I had a chance to visit a fully integrated AT&T Smart Home in Atlanta a few years ago and I've been in love since! We use a few of those products in our home and they are great fun. The lights can blink on when my alarm goes off in a multitude of colors. Great fun. It really is, I love the many options! It really is pretty cool! How cool is this!! A lot of times we are in one part of the room and we forgot to turn the light off and no one wants to get up to go turn it off lol this would for sure come in handy! I love it for that reason or I forget to turn it off at night! This is so cool! Hope they bring something like this to my city – will help me loads. Hmm, they have it almost everywhere I think! Having a smart home sounds like a really great thing. 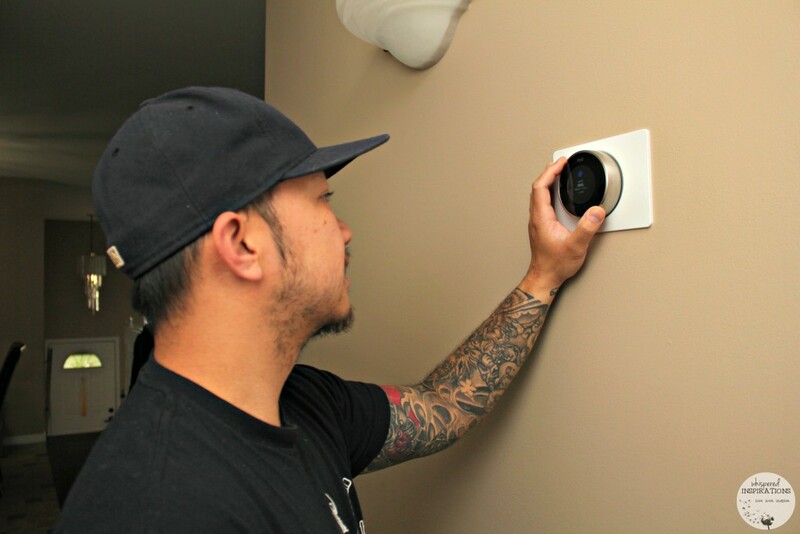 I have heard absolute nothing but wonderful things about the nest system. When we no longer rent we will definitely be installing nest! I absolutely love our Nest. It makes such a difference!